Rachel, Dave, Kyle & Bryan talk about the first ever sequel for the King of the Monsters, Godzilla Raids Again! I never in a million years would have thought we’d spend so long talking about a Godzilla movie that has always seemed so bland. 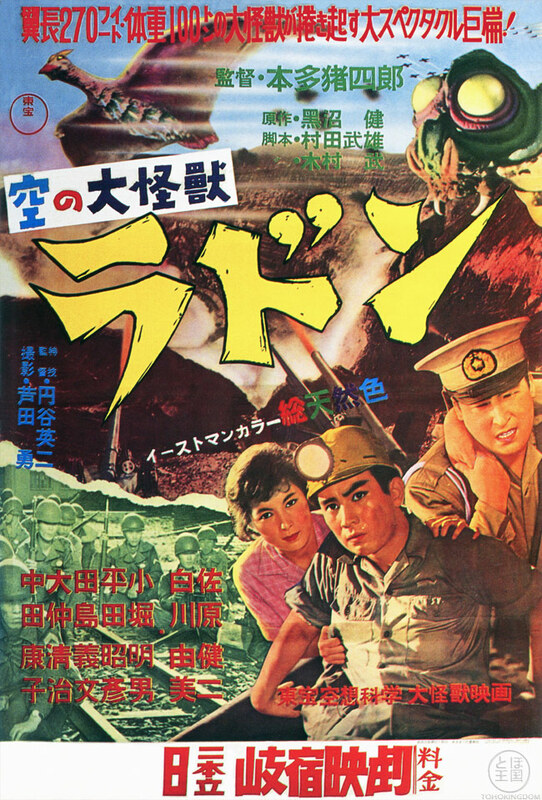 That’s right, this month’s Daikaiju Discussion is for the 1955 Godzilla Raids Again, also known as Gigantis The Fire Monster. Compared to the other films in the franchise, I did a LOT of research because this is one of my least watched Godzilla films in the series. In fact, I had only seen the Japanese version of the film before this viewing (shocking, I know!). Because of that, we watched the Amercian version and it was an adventure to be sure. 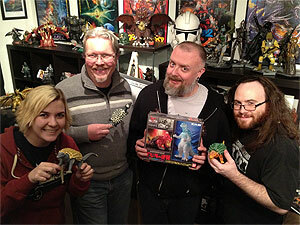 I was joined in the Kaijucast HQ by Dave Helfrey (aka Baron Von Goloo) with Bryan and Rachel Cook. Not only, did we discuss the film for nearly an hour, but another amazing thing happened… we received WAY more homework than I thought we would. As such (and this is for you long-winded intellectuals) I must offer a humble apology as I had to edit the entries – sometimes severely trimming them. Apologies for that, as there was no way that I could possibly have read all of those essays – especially since I recorded the rest of the episode all by my lonesome! Monsterpalooza announces Ultra-guests: Bin Furuya, Susumu Korobe & Hiroko Sakurai! *Make sure to check out our new supplemental videos on our new Vimeo and Youtube channel! It give me great pleasure to announce that our movie for next month is the movie that started it all for me…the 1956 Toho classic, Rodan! I’m not sure if we’ll be watching the English or Japanese version of this, but we will have a special guest in the studio for this one, so if you would like to be included in this next discussion, make sure you send in your homework (aka thoughts questions & reviews) before February 22nd! Feel free to use our handy-dandy Contact form. Also, while I do love to read the long essays, please keep in mind that we may need to edit any reviews down for our goal of an hour-long show. Thanks and we look forward to hearing from you!